Photo: Ed Stelmach (elected leader of the PC Party in 2006), Danielle Smith (elected leader of the Wildrose Alliance in 2009), Kevin Taft (elected leader of the Liberal Party in 2004), and Alison Redford (elected leader of the PC Party leader in 2011). 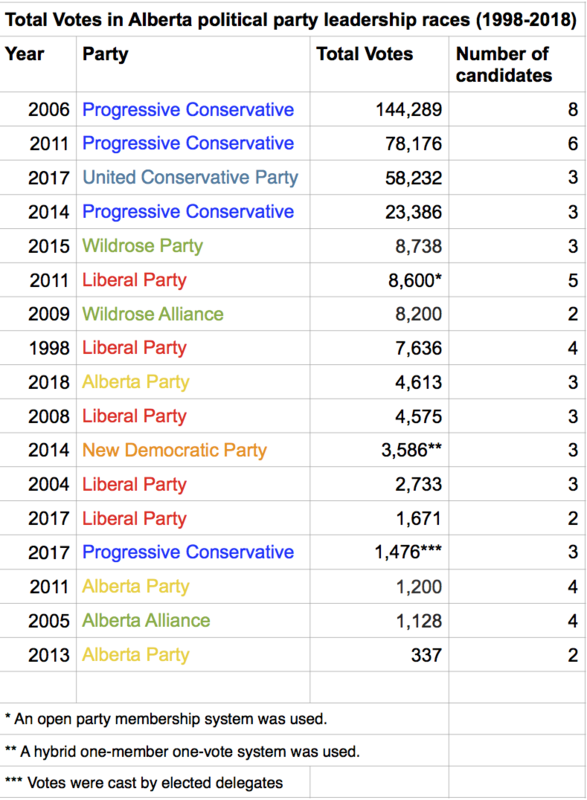 Following the announcement this week of the results of the Alberta Party leadership race, I thought it would be interesting to look at the voter participation in party leadership races in Alberta over the past twenty years. The largest participation in a party leadership race in the past two decades, and in Alberta’s history, took place during the Progressive Conservative leadership race in 2006. More than 144,000 members voted in the race and it is believed that more than 200,000 memberships were sold. The party had a very open membership sales policy, which allowed any Albertan to purchase a membership at their local voting station on the day of the vote. This vote chose Ed Stelmach to replace Ralph Klein as PC Party leader and Premier of Alberta. The 2011 Liberal Party leadership vote, which selected Raj Sherman as party leader, used an open membership system. This allowed any Albertan to participate in the vote without having to actually purchase a party membership. The 2014 New Democratic Party leadership vote that selected Rachel Notley to replace Brian Mason used a hybrid one-member one-vote system which allocated 25 percent of the total vote to affiliate organizations. The lack of clarity around how many organizations took part in the vote and who they may have supported makes it unclear how many individual votes were actually cast in that leadership election. The 2017 United Conservative Party leadership vote was conducted by delegates who were elected by party members in each district. The party membership consisted of new UCP members, as well as individuals who had been members of the Wildrose Party and Progressive Conservative Party until that point. Acclamations occurred in the 2000 and 2004 NDP leadership contests, the 2001 Liberal Party leadership contest, and the 2003 Alberta Alliance leadership contest. This entry was posted in Alberta Politics and tagged 2011 Alberta Liberal Leadership Race, 2014 Alberta NDP Leadership Race, Alberta Liberal Party, Alberta NDP, Alberta Party, Alberta Party Leadership Race 2018, Alberta PC Party, Alison Redford, Brian Mason, Danielle Smith, Ed Stelmach, Kevin Taft, Rachel Notley, Raj Sherman, Ralph Klein, United Conservative Party, United Conservative Party Leadership Race 2017, Wildrose Party on March 1, 2018 by Dave Cournoyer. The NDP are Ready for Rachel… are Albertans? With 70% of the 3,589 votes cast, Edmonton-Strathcona MLA Rachel Notley was selected as the next leader of Alberta’s New Democratic Party. Ms. Notley defeated Edmonton-Calder MLA David Eggen, who earned 28% of the vote, and union activist Rod Loyola, with 2%. Ms. Notley is an articulate and passionate advocate for social issues in Alberta and I have little doubt that the NDP will continue punching above their weight as an opposition party with her at the helm. There are no shortage of challenges facing Ms. Notley’s NDP, and perhaps the largest is the task of convincing Albertans that the NDP is a viable alternative to the two dominant conservative parties. The NDP needs to build the case that they are the more viable progressive alternative to not only the Progressive Conservatives and the Wildrose, but also the Liberal Party. The NDP has already surpassed the Liberals in total votes and seats in Edmonton. And with two Calgary Liberal MLAs running in the next federal election, the NDP will soon become the third largest party in the Assembly. But can the NDP translate their latest bump in the polls in Edmonton into actual elected candidates in the next election? The NDP currently have four MLAs in the Assembly and a handful of candidates performed well in the last election in constituencies such as Edmonton-Gold Bar, Edmonton-Manning, Edmonton-Riveriew, and Edmonton-Glenora. Moribund in Calgary, the NDP has not elected a candidate in Alberta’s largest city since the 1989 election, which is the equivalent of eons in politics. The party has tried hard to shed any “anti-oilsands” baggage, calling for in-province refining and distancing itself from some positions taken by the Ottawa NDP. To become a convincing province-wide political force, the NDP needs to break its reputation as an Edmonton-only focused party and recruit candidates who can win in Calgary and Alberta’s medium-sized cities. With the vast majority of rural Alberta a write-off for the tiny social democratic party, I have argued they should focus on an urban agenda. The NDP has a star candidate in Shannon Phillips, who is campaigning for a second time in Lethbridge-West. Ms. Phillips came very close to winning in the last election, placing only 1,115 votes behind PC MLA Greg Weadick. A win in Lethbridge in the next election would be a significant beachhead for the NDP outside of Edmonton. With the conservative PCs and Wildrose dominating the political narrative heading into the next election, Ms. Notley’s NDP could play kingmaker and spoiler in close races in cities like Edmonton and Lethbridge. Even though it is almost impossible to imagine the NDP forming government in Alberta, there could be a real chance they could hold the balance of power in a minority government scenario after the next election. And if that did happen, Albertans would be lucky to have an intelligent and thoughtful leader like Rachel Notley holding the balance of power. This entry was posted in Alberta Politics and tagged 2014 Alberta NDP Leadership Race, David Eggen, Edmonton-Calder, Edmonton-Glenora, Edmonton-Gold Bar, Edmonton-Manning, Edmonton-Riveriew, Greg Weadick, Lethbridge-West, Rachel Notley, Rod Loyola, Shannon Phillips on October 19, 2014 by Dave Cournoyer. 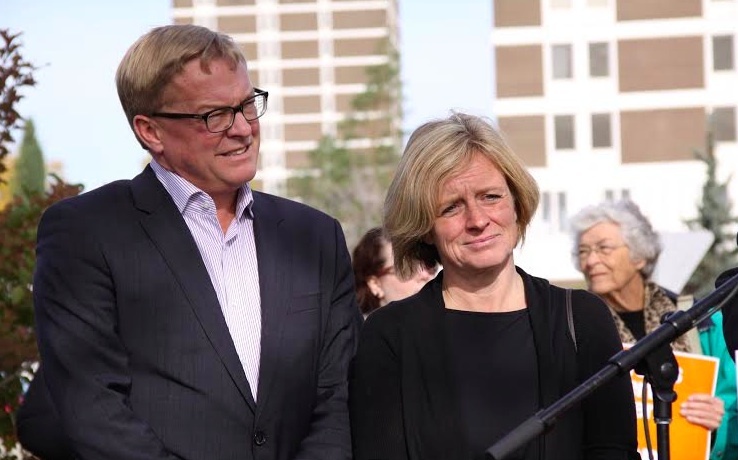 NDP MLAs David Eggen and Rachel Notley at a recent rally calling for the construction of a new Misericordia Hospital in south west Edmonton. Both MLAs are running for the leadership of the Alberta NDP. 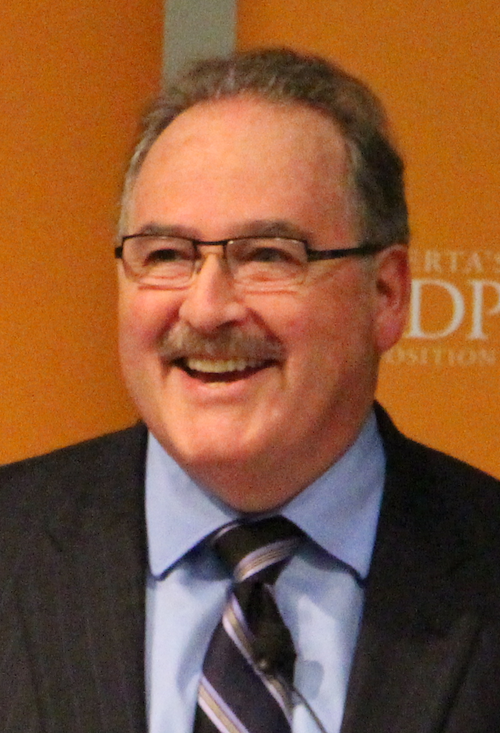 On October 18, 2014 Alberta’s New Democratic Party will choose a replacement for retiring leader Brian Mason, who has held the position since 2004. 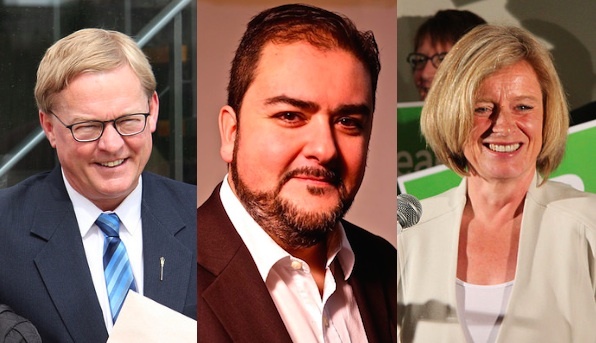 The three candidates seeking the leadership are Edmonton-Strathcona MLA Rachel Notley, Edmonton-Calder MLA David Eggen and Edmonton-Ellerslie candidate Rod Loyola. This is the Alberta NDP’s first foray into a one-member, one-vote system preferential ballot system of selecting their leader, at least partially. While 75% of the total votes cast to choose the next leader are allocated to individual members, 25% of the total votes are allocated to organizations affiliated with the NDP. This hybrid system was adopted after a vote by NDP members at a recent policy convention. The 25% affiliate organization vote is a recognition of the party’s historical ties to labour unions, who are suspected to make up most of the affiliates. The affiliate status gives the eight unions a 25 per cent weighted vote in the leadership election. This means that if each of the eight unions cast one ballot, each of those ballots would count for 3.12 per cent of the total votes. In a hypothetical race with 10,000 ballots cast, each union ballot would count for 312 votes. Simply put, the votes of indivdiual organizations will be weighed heavier than votes of individual NDP members in this leadership vote. But even though NDP members may be told how those votes are weighed within the 25%, there is still no public listing of the affiliated organizations. I am told there are at most ten organizations eligible to cast votes in the leadership contest, but privacy rules restrict the NDP from releasing the names of the organizations without their approval. Not shy about their affiliation with the NDP, one of the affiliates is certainly the United Food and Commercial Workers (UFCW) Local 401. 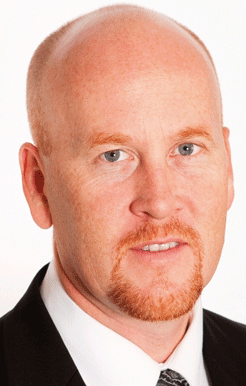 UFCW 401 President Doug O’Halloran announced earlier this month that his union has endorsed Ms. Notley’s candidacy. There are limited rules around how provincial political parties conduct leadership contests. Unlike the United States, where open primary votes feel like general elections and are highly structured, leadership votes in Alberta feel like the Wild West. Leadership candidates and their Chief Financial Officers must register with Elections Alberta, but aside from that, party’s set their own rules around entry fees, spending limits, debates, and how the leader is selected. This has led to some odd voting schemes and irregularities during recent leadership contests. The Progressive Conservatives used a simple one-member, one-vote system and still faced numerous allegations of irregularities and online voting systems glitches in the leadership contest that selected Jim Prentice. 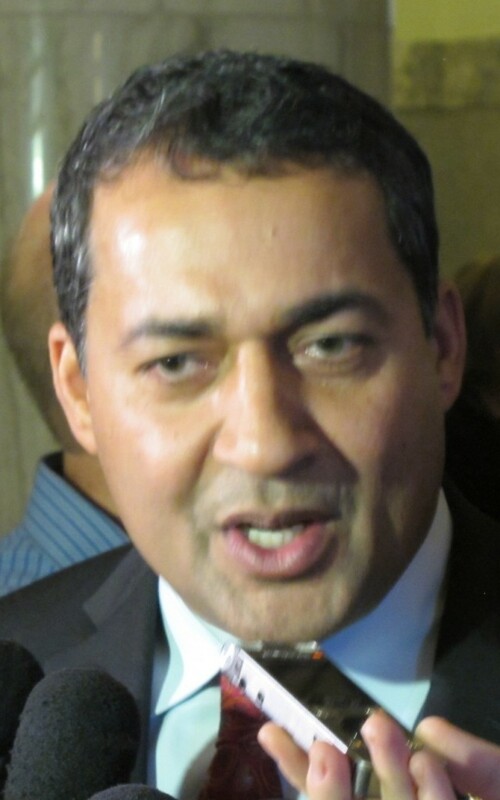 One PC volunteer accused MLA Sohail Quadri of improperly accessing PIN numbers of PC members and Mr. Prentice’s campaign was caught handing out free memberships at public events. In their 2011 leadership contest, the Liberal Party introduced a “supporter” category of voter, who could vote in their leadership contest by signing up for free. The “supporters” did little to boost the active membership of the party and the category was dissolved shortly after Raj Sherman was selected as leader. Our political leaders should be encouraged to develop new and innovative ways of engaging voters in leadership races, but Albertans need to know the processes being used are fair and transparent. This entry was posted in Alberta Politics and tagged 2014 Alberta NDP Leadership Race, Brian Mason, David Eggen, Doug O’Halloran, Edmonton-Calder, Edmonton-Ellerslie, Edmonton-Strathcona, Jim Prentice, Karen Kleiss, Rachel Notley, Raj Sherman, Rod Loyola, Sohail Quadri, UFCW Local 401 on October 17, 2014 by Dave Cournoyer. 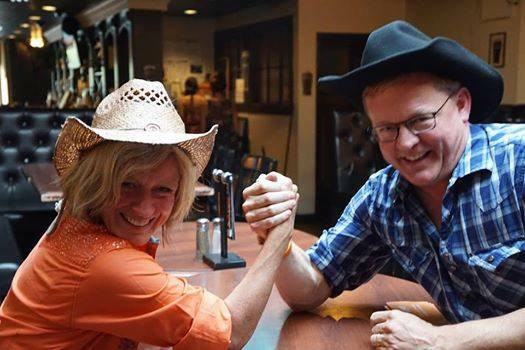 Alberta NDP leadership rivals Rachel Notley and David Eggen (photo from Ms. Notley’s Facebook page). It is pennies compared to the $1.8 million raised by Jim Prentice during the Progressive Conservative leadership race, but in the world of the Alberta NDP leadership contest, the money is flowing. The NDP’s monthly contributions report from its leadership candidates shows Edmonton-Strathcona MLA and front-runner Rachel Notley has raised $82,826.99, Edmonton-Calder MLA David Eggen has has raised $32,924 and labour activist Rod Loyola raised $5,310 since the race started. The largest donations made to the candidate have been from UFCW Local 401, which donated $15,000 each to Ms. Notley and Mr. Eggen, and $5,000 to Mr. Loyola. UFCW Local 401 is a major player in the provincial NDP and is expected to take up a large percentage of reserved NDP union-affiliate votes in this contest. None of the NDP supporters I have spoken with have been able to clearly explain how the union-affiliate vote process will work. 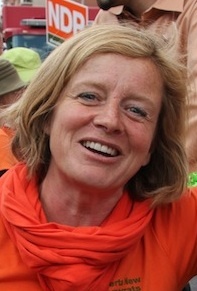 Ms. Notley’s candidacy has received a number of high profile endorsements, including those of fellow NDP MLA Deron Bilous, former NDP MLAs Barrie Chivers, Bob Hawkesworth and Jim Gurnett, former Red Deer mayor Morris Flewwelling (who ran for the PCs in the 1997 federal election), former PC MLA Tom Sindlinger and former Edmonton Public School Board trustee Dave Colburn. While Ms. Notley appears to have the support of many NDP insiders and luminaries, I am told that Mr. Eggen’s campaign is busy selling memberships across the province. This being the party’s first contested leadership campaign since 1996, it is unclear what the benchmark for membership sales should be. So far, the contest appears to have been a friendly affair, with no public clashing between the candidates. Ms. Notley has released a five priority platform, and she and Mr. Eggen have continued in their roles as opposition critics. Mirroring a larger internal NDP debate on the national level, Mr. Eggen has released a statement calling for peace between Israel and the Palestinians living in Gaza. Mr. Eggen called on the provincial government to review its investments through AIMCo and look to divestment in order to pressure a peaceful solution to the Middle East conflict. Recent polls have shown NDP support growing in Edmonton, suggesting that the party could expand its four MLA caucus in the next election. Despite being in the midst of a leadership contest, which ends with a vote on October 18, 2014, the NDP continues to nominate candidates for the next election. This week the NDP nominated Marlin Schmidt in Edmonton-Gold Bar and, on September 30, AUPE activist Heather Sweet is expected to be nominated in Edmonton-Manning. Those are both constituencies that the NDP are said to be targeting resources toward for the next election. While current disenchantment with the PC Party has helped the NDP increase its support in Edmonton, the political environment remains unstable. The next leader of the NDP will need to work hard to ensure that progressive voters do not flock to one conservative party in order to block another conservative party from forming government during the next election. 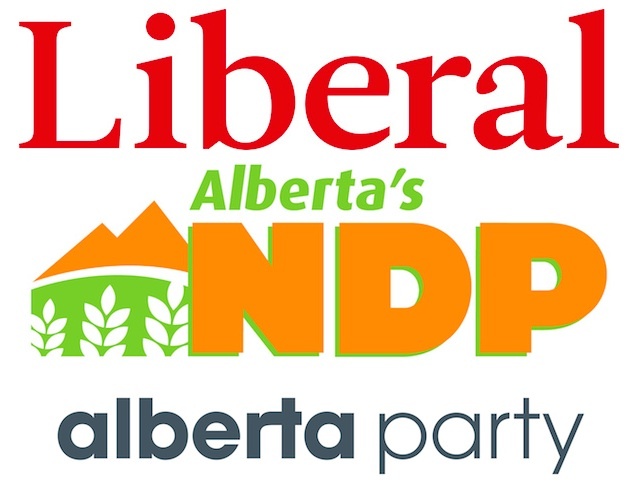 The NDP is hosting a series of forums with the three leadership candidates across Alberta. The follow events all begin at 7:00 p.m. This entry was posted in Alberta Politics and tagged 2014 Alberta NDP Leadership Race, Barrie Chivers, Bob Hawkesworth, Dave Colburn, David Eggen, Deron Bilous, Edmonton-Calder, Edmonton-Gold Bar, Edmonton-Manning, Edmonton-Strathcona, Endorsements, Gaza, Heather Sweet, Israel, Jim Gurnett, Jim Prentice, Marlin Schmidt, Morris Flewwelling, NDP Civil War, Palestine, Rachel Notley, Rod Loyola, Tom Sindlinger, UFCW Local 401 on September 9, 2014 by Dave Cournoyer. 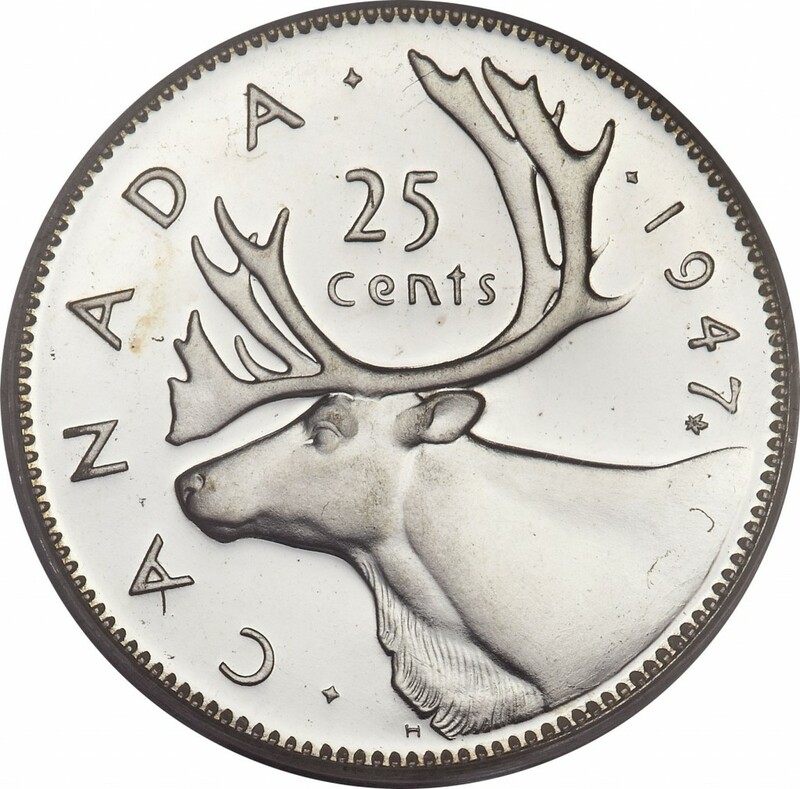 The caribou was first featured on Canada’s 25-cent piece in 1936. Today, the habitat populated by Alberta’s caribou herds has been devastated. Another news report this week focused on the devastation of caribou habitat in northwestern Alberta. The CBC story reported that deforestation caused by seismic cutlines and snowmobile traffic has caused irreparable damage to habitat critical to the survival of Alberta’s caribou herds. “About five per cent of range for the Little Smoky and a la Peche caribou herds remains undisturbed — a long way from the federal government’s 65% target,” the CBC report stated. 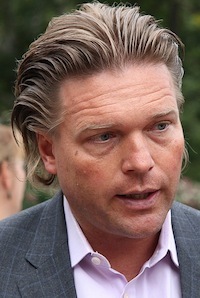 Former deputy premier Thomas Lukaszuk’s campaign for the Progressive Conservative leadership was left reeling yesterday when it was reported that he racked up a $20,000 cell phone bill on his government cell phone while on a personal trip to Poland and Israel in October 2012. Although Mr. Lukaszuk was on a personal trip, he told the media that he conducted business by downloading large-sized files of legal documents onto his phone. PC leadership front-runner Jim Prentice changed his tune on plans to legislate term-limits for MLAs and Premiers in Alberta. Following his announcement last week, the legal and constitutional academic community was unanimous in their belief that it would be unconstitutional and contravene Section 3 of the Charter of Rights and Freedoms. Mr. Prentice, a lawyer by trade, now says he would not legislate the term-limits, but implement them as an internal PC Party policy. An important endorsement was made in the less-talked about campaign to lead the Alberta NDP. NDP MLA Deron Bilous has endorsed his caucus colleague Rachel Notley in her bid to become that party’s next leader. 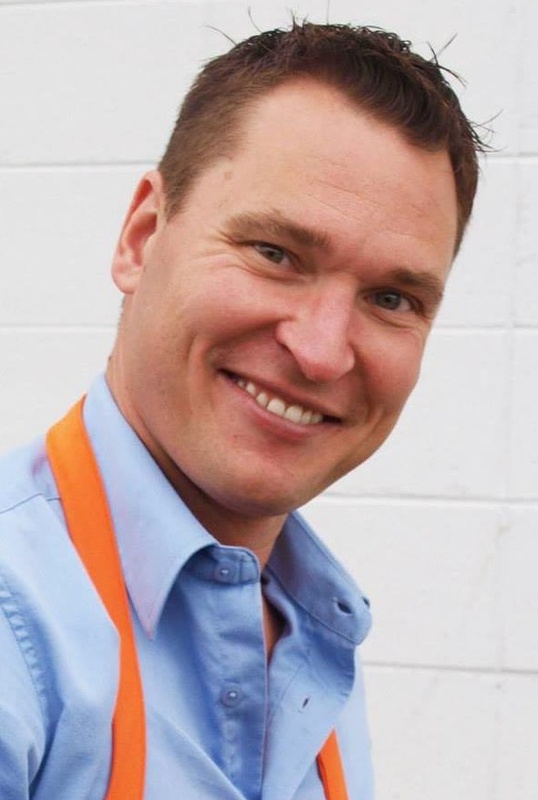 Mr. Bilous, who has represented Edmonton-Beverly-Clareview since 2012, is one of four NDP MLAs in the Alberta Legislature. 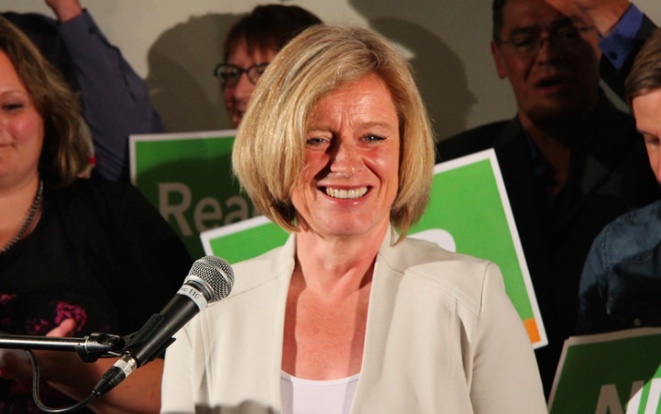 Ms. Notley is facing Edmonton-Calder MLA David Eggen and union activist Rod Loyola in the leadership race. The vote to chose the new leader is schedule for October 18, 2014 at Edmonton’s Sutton Place. The NDP will hold a nomination meeting in Edmonton-Gold Bar on September 8. 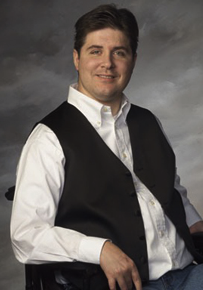 Past candidate Marlin Schmidt is expected to be acclaimed in that contest. In 2012, Mr. Schmidt placed 880 votes behind PC candidate David Dorward, making this a target constituency for the NDP in the next election. The meeting will feature guest speaker Pat Martin, NDP MP for Winnipeg-Centre. The Liberals will be nominating their candidate for the upcoming Calgary-Elbow by-election on September 18, 2014. Susan Wright, lawyer and author of the witty Susan On The Soapbox blog has put her name forward for the nomination. 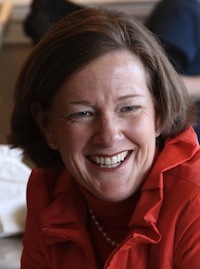 Although the Liberals fared poorly in this constituency in 2012, the party surprised many political watchers by winning the 2007 Calgary-Elbow by-election that replaced former Premier Ralph Klein. For a complete list, check out the list of 2015/2016 Alberta Provincial Election candidates and nominees. This entry was posted in Alberta Politics and tagged $20000 Cell Phone Bill, 2014 Alberta NDP Leadership Race, 2014 Alberta Progressive Conservative leadership race, Calgary-Elbow, Calgary-Elbow by-election, David Dorward, Deron Bilous, Edmonton-Beverly-Clareview, Edmonton-Calder, Edmonton-Strathcona, Jim Prentice, Marlin Schmidt, Northern Alberta Caribou Herds, Pat Martin, Ralph Klein, Section 3 of the Charter of Rights and Freedoms, Susan Wright, Term Limits for MLAs, Term Limits for Premiers, Thomas Lukaszuk, Unconstitutional Ideas, Winnipeg Centre on August 26, 2014 by Dave Cournoyer. Alberta NDP leadership candidates David Eggen, Rod Loyola and Rachel Notley. Today is the deadline to enter the Alberta New Democratic Party leadership race. With 3 candidates having already entered the race, Edmonton-Calder MLA David Eggen, Edmonton-Strathcona MLA Rachel Notley and labour activist Rod Loyola, the Alberta NDP are having their first contested leadership race since 1996. Advice I would offer to the next leader of the NDP (and the current leaders of the Liberal Party and Alberta Party) is to focus on where you can make gains – in the big cities. Electoral support for the social democratic party in Alberta is largely exists within the Edmonton and Lethbridge city limits, has very limited support in rural Alberta and is almost non-existent in Calgary, the province’s largest city. In 2012, NDP candidates earned more than 10% of the vote in less than 20 constituencies and less than 5% of the vote in 27 constituencies across Alberta. While far away from being a premier-in-waiting, the next NDP leader is in a position to lead a distinct opposition to the two conservative parties that dominate the political landscape in Alberta. Alberta’s cities are fast growing and, in many cases, decisions made by city councils and school boards are tied to approval by provincial politicians who do not understand the reality of the growth pressures faced by municipalities. Our province is the one jurisdiction in Canada that can afford to have the best quality roads, transit systems and public schools, but much of the authority remains in the hands of our provincial politicians. A provincial party with a platform focused on urban issues – smart growth and public transit – and how these growth pressures impact our public school, health care, social service and transportation systems could provide a much needed voice in the Alberta Legislature. Note: I am not the first person to offer this advice. This entry was posted in Alberta Politics and tagged 2014 Alberta NDP Leadership Race, Alberta Party, Calgary, David Eggen, Edmonton-Calder, Edmonton-Strathcona, Lethbridge, Liberal Party, Public Schools, Public Transit, Rachel Notley, Rod Loyola, Rural Support, Smart Growth, Urban Agenda for Alberta on August 5, 2014 by Dave Cournoyer. Johnson, Anglin, Nenshi and Butler. Who said Alberta politics is dull in the summer? The Calgary Stampede begins this week, drawing politicians from across the land and from all stripes. 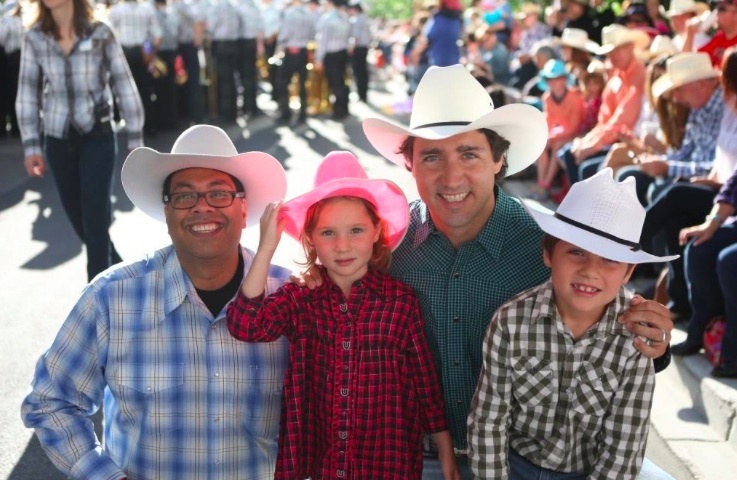 In this photo, Calgary mayor Naheed Nenshi poses with Liberal leader Justin Trudeau and his children (photo from @JustinTrudeau). 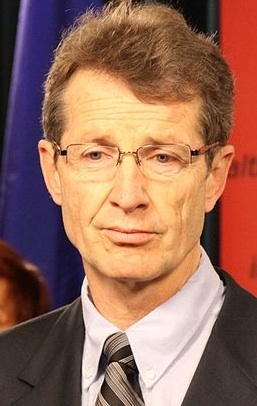 Premier Dave Hancock is standing behind Jeff Johnson, even after the Information and Privacy Commissioner ruled that the embattled education minister broke Alberta’s privacy laws by sending a direct message to the personal email addresses of thousands of teachers during their contract negotiations. In any other job, breaking the law would likely be cause for dismissal, but this does not appear to be the case if you are a cabinet minister in Alberta’s Progressive Conservative government. Mr. Johnson, who appears to be intent on dragging the professional credibility of Alberta educators through the mud, also turned his attention to school board administrators this week by demanding they hand over all complaints against teachers from the past ten years. Tory MLAs are expected to discuss Mr. Johnson’s reign of terror at this week’s annual “Stampede Caucus Meeting” in Calgary. Rabble-rouser MLA Joe Anglin was defeated in his bid to be a Wildrose candidate in the next election. 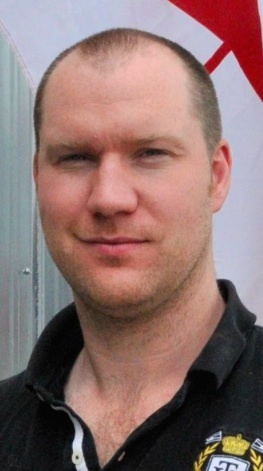 The first-term MLA was defeated by local constituency president Jason Nixon in a controversy-ridden party nomination contest in Rimbey-Rocky Mountain House-Sundre. Mr. Nixon’s brother, Jeremy Nixon, is the nominated Wildrose candidate in Calgary-Klein. Mr. Anglin now has some decisions to make before the next election. 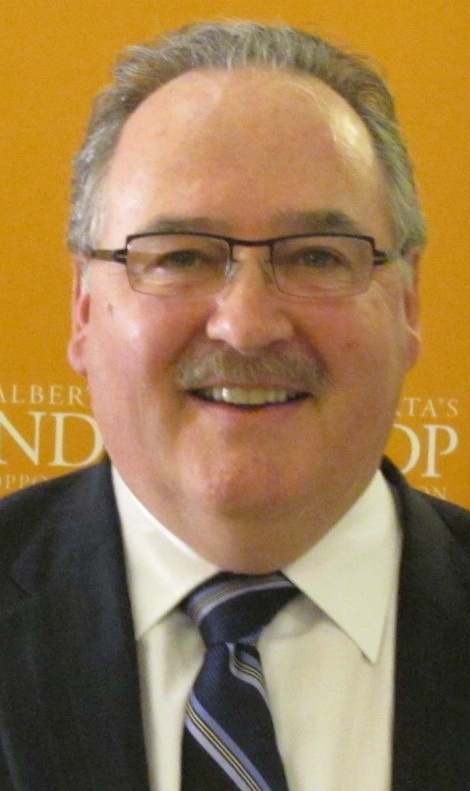 He could quietly complete his term as a Wildrose MLA and retire at the next election, or he could run for another party or as an Independent candidate (given his style, this may be the likely option). A property rights activist and former leader of the Alberta Greens, Mr. Anglin sparked a political wildfire in central Alberta before the 2012 election over widespread opposition to electrical transmission line construction. Calgary Mayor Naheed Nenshi called out the untransparent Canadian Taxpayers Federation after its spokesperson was invited to speak at the Alberta Urban Municipalities Association conference. Mr. Nenshi has been in a prolonged public feud with the special interest group’s paid political agitator, Derek Fildebrandt. While the Taxpayers Federation preaches transparency for government, it refuses to make public a list of its own financial backers. This is at least the second time Mr. Butler has switched parties in recent years. Before joining the Liberals, he ran as an NDP candidate in Edmonton-Rutherford in the 2008 provincial election and in Edmonton-Mill Woods-Beaumont in the 2008 federal election. He was the Liberal candidate in Edmonton-Mill Woods-Beaumont in the 2011 federal election and in Edmonton-Mill Creek in the 2012 provincial election. This entry was posted in Alberta Politics and tagged 2014 Alberta NDP Leadership Race, Alberta Liberal Party, Alberta Party, Alberta Teachers' Association, Alberta Urban Municipalities Association, AstroTurf, Calgary Stampede, Calgary-Klein, Canadian Taxpayers Federation, Dave Hancock, David Eggen, Derek Fildebrandt, Edmonton-Calder, Edmonton-Mill Creek, Edmonton-Mill Woods-Beaumont, Edmonton-Rutherford, Jason Nixon, Jeff Johnson, Jeremy Nixon, Joe Anglin, Justin Trudeau, Mike Butler, Naheed Nenshi, Raj Sherman, Rimbey-Rocky Mountain House-Sundre on July 6, 2014 by Dave Cournoyer. Can the Alberta NDP win in Calgary? To describe it as a long-shot is polite, but two Edmonton MLAs running for the leadership of Alberta’s New Democratic Party say that growing support in Calgary is critical. Edmonton-Strathcona MLA Rachel Notley launched her campaign for her party’s leadership at Niko’s Bistro in Kensington this week. And Edmonton-Calder MLA David Eggen described Alberta’s largest city as ‘unploughed ground’ for the NDP. At her Calgary launch, Ms. Notley was introduced by former alderman Bob Hawkesworth, one of the last New Democrats to be elected under that party’s banner in Calgary. Mr. Hawkesworth was elected along with fellow New Democrat Barry Pashak in the 1986 and 1989 elections. Both men were defeated in the 1993 election, along with every other NDP candidate in the province. The NDP has regained support in Edmonton, earning 21% in the last provincial election, but it has never recovered in Calgary. In the past two provincial elections the NDP earned less than 5% of the total vote in Calgary. Although the provincial NDP earned 19,942 votes (4%) in Calgary in the 2012 provincial election, the Orange Wave in the 2011 federal election helped that party collect an impressive 51,652 votes in cowtown. A handful of popular Liberal MLAs – like David Swann, Kent Hehr, and formerly Harry Chase – have successfully held the progressive (non-PC Party) banner in that city for the past three elections. But a decline in Liberal Party support may open an opportunity for a resurgent NDP looking for gains in Calgary, if the NDP actually work for it. Back in 2009, I was a freelance writer covering the annual NDP convention. While most delegates were caught up debating constitutional resolutions in a dingy and windowless conference room in downtown Edmonton, the Calgary-Glenmore by-election was heating up. When I asked an NDP organizer why they hadn’t hired a bus to shuttle the 150 delegates down south for a day to help their candidate (a move that would have been a strong show of support), the individual replied that they were sure the party had it under control. Come election day, Wildrose candidate Paul Hinman narrowly defeated Liberal Avalon Roberts, with Tory Diane Colley-Urquhart placing third and the NDP candidate placed a distant fourth with an insignificant 1.3% of the vote. Any viable opposition party in Alberta needs to be competitive in the province’s largest city. Even if they are only competitive in a few constituencies, the NDP need to have a presence in Calgary before they can claim to be a true provincial opposition. 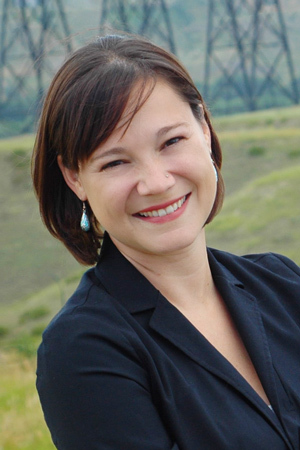 This week the NDP nominated researcher Shannon Phillips as their candidate in Lethbridge-West. The NDP hope that with some hard work Ms. Phillips can build on her 2012 results, when she boosted her party’s support to 29%, up from 10% in the 2008 election. Those 2012 results placed Ms. Phillips ahead of the Wildrose candidate and just over 1,000 votes behind PC MLA Greg Weadick. Last month, the NDP sought to hire a field organizer based in the Athabasca-Sturgeon-Redwater riding, which is currently represented by controversial Education minister Jeff Johnson. While the area northeast of Edmonton has not been a hotbed of traditional support, NDP candidate and potential leadership candidate Mandy Melnyk earned 13.7% of the vote in the last election, the NDP’s best result in rural Alberta. This entry was posted in Alberta Politics and tagged 2009 Calgary-Glenmore by-election, 2014 Alberta NDP Leadership Race, Athabasca-Sturgeon-Redwater, Avalon Roberts, Barry Pashak, Bob Hawkesworth, Calgary, David Eggen, David Swann, Diane Colley-Urquhart, Edmonton-Calder, Edmonton-Strathcona, Greg Weadick, Harry Chase, Kent Hehr, Lethbridge-West, Mandy Melnyk, Orange Wave, Paul Hinman, Rachel Notley, Shannon Phillips on June 19, 2014 by Dave Cournoyer. What do the Alberta Liberals, New Democrats, Alberta Party and Green Party have in common? None of these parties will form government after the next election. As Albertans prepare for another electoral showdown between two conservative parties – the long-governing Progressive Conservatives and the opposition Wildrose Party – many non-conservative voters and voters looking for an alternative are left confused and frustrated about their options. If you are lucky enough to live in one of the nine constituencies already represented by a Liberal or New Democrat MLA, or the small handful of other constituencies they have a realistic shot at winning, your ballot options may be simpler. But if you live in a constituency where the two parties are competing for the same small pool of votes, or more likely their support is almost non-existent, you may not be looking forward to the next election. Hordes of traditional Liberal and NDP voters became ‘two-minute Tories’ when they joined the PC Party to vote for Alison Redford in that party’s leadership race in 2011. Many of these temporary Tories then helped save the PC Party from electoral defeat in the 2012 election by stopping the right-wing Wildrose from forming government. The big-tent PC Party rewarded their new electoral coalition of progressive voters by turning on the issues dear to them – slashing funding to colleges and universities, passing drastic anti-labour laws and attacking front-line public sector workers. Since the last election, through their actions or their silence, PC MLAs have done near everything in their power to alienate the very people who saved their political dynasty. So, unless you are the type of progressive voter who enjoys being punished for your vote, your realistic options for the next election may feel limited. Other than swallowing your pride and voting for the Wildrose Party, what are the options for progressive voters? The NDP are in the midst of a leadership race to replace outgoing leader Brian Mason. The Liberals are feeling good after their weekend annual general meeting and selection of new president, Shelley Wark-Martyn (who was a cabinet minister in Bob Rae’s Ontario NDP government in the early 1990s). Alberta Party leader Greg Clark penned an open letter to the Liberals, asking them to join his party. But regardless of the good feelings and potential for minor electoral gains, none of these parties are in a position to form government in the next election. And this is a big problem. While the moderate and progressive opposition parties compete in a handful of constituencies in Calgary, Lethbridge and Edmonton, the two conservative parties are competing in a province-wide campaign. Calgary-Buffalo Liberal MLA Kent Hehr‘s proposed a party merger in December 2012 and was quickly dismissed by Liberal and NDP stalwarts. A new party could provide an attractive home for long-time PC voters looking for a less conservative alternative to the Wildrose Party. Although this may sound like a sensible option, personality conflicts remain to largest roadblock to a merger. Some parties have already proposed ideas to help progressive candidates win. Green Party leader Janet Keeping has decided to run in Calgary-Fort rather than challenge Liberal MLA David Swann in Calgary-Mountain View in the next election. This argument assumes that support between parties will automatically carry over to a single candidate, which is not always the case. It seems that a bigger problem is our winner-takes all first-past-the-post electoral system that creates results that are not a fair reflection of how Albertans voted. For example, in the last election, PC MLA David Dorward was elected in Edmonton-Gold Bar with only 33% of the votes cast in that constituency (49% of the voters in Gold Bar voted NDP or Liberal). For now, we are stuck with the current system, but change the system to single-transferable vote or proportional representation system and we might not be having this same conversation. In a province as young, dynamic and prosperous as Alberta, there is little excuse for not having a progressive party able to compete on a province-wide level – for government! If progressive voters cannot rely on the small opposition parties to figure it out on their own, they need to begin demanding an alternative from the parties and their stalwarts who are standing in the way of real progress. This entry was posted in Alberta Politics and tagged 2014 Alberta NDP Leadership Race, 2014 Alberta Progressive Conservative leadership race, 2015 Alberta Election, 2016 Alberta Election, Alberta Greens, Alberta Liberals, Alberta New Democrats, Alberta Party, Alison Redford, Bob Rae, Brian Mason, Calgary-Buffalo, Calgary-Fort, Calgary-Mountain View, David Dorward, David Swann, Edmonton-Gold Bar, Greg Clark, Janet Keeping, Kent Hehr, Ontario NDP, Party Merger, Shelley Wark-Martyn, Strategic Voting, Unite the Left on June 1, 2014 by Dave Cournoyer. 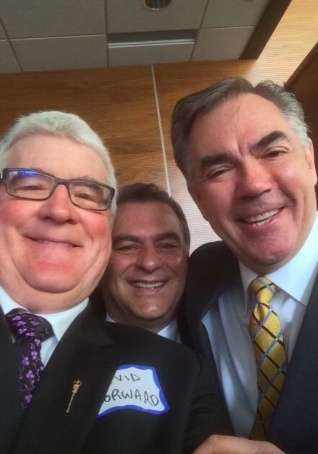 Whoever leads Alberta’s long-governing Progressive Conservatives into the next election (probably Jim Prentice) will have some serious challenges to deal with. After more than forty years in office, Alberta’s natural governing party has become accustomed to getting its way, regardless of who stands in their way. Perhaps realizing how much damage this has caused his party, interim PC leader Premier Dave Hancock apologized to attendees at high-priced party fundraising dinners in Calgary and Edmonton. Delivering this type of apology is a big step for any PC leader, even an interim one. After years of public controversy and internal turmoil under previous leaders, the PCs hope that Albertans will forget their misdeeds and elect them to office for a fourteenth term. But apologies need to be followed up with action. Last week, more than 400 representatives of the Alberta Teachers’ Association unanimously stood in a non-confidence vote against Education Minister Jeff Johnson. The Tories have slowed down their drastic reforms to public sector pensions and backed down on legislative threats to impose a contract on public sector workers, but Mr. Johnson’s recent attack on front-line educators appears to be off-script. Even the secret Skypalace in the Federal Building, which Albertans had been told was cancelled, is still being built (albeit without the bedrooms). A strong case can be made for an official residence for the Premier, and especially official meeting spaces to hold functions and host dignitaries. But for some reason, even when they claim to be upfront and transparent, the Tories still do not feel they need to justify these expenses to the public. They continue to operate in secret. The leadership vacuum is only one of the problems facing the big-tent PC Party. Their next leader will inherit a party with a severe cultural problem that becomes prevalent in any long-governing party – an entitlement problem. And this cannot be fixed simply by changing who is sitting in the premier’s office and it will certainly not be changed with platitudes and soundbites. Albertans deserve better than what the Tories are offering. The Tories need to prove Albertans can have confidence in their party. They need to prove that Albertans can trust them to govern in the interest of the province, not in the interests of preserving their own political dynasty. As the PC Party and the Alberta New Democrats begin their leadership races, I will be taking a short break from political punditry to enjoy the salty breeze and down-home hospitality of Canada’s Maritime Provinces. 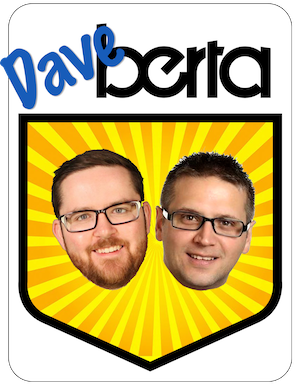 In my absence, I recommend you follow my colleague David Climenhaga at his excellent AlbertaDiary.ca blog. This entry was posted in Alberta Politics and tagged 2014 Alberta NDP Leadership Race, 2014 Alberta Progressive Conservative leadership race, 2014 Progressive Conservative Party leadership race, Alberta Diary, Alberta Teachers' Association, Confidence, Dave Hancock, David Climenhaga, David Dorward, Federal Building, Jeff Johnson, Jim Prentice, Moe Amery, Official Residence, Skypalace, Trust on May 21, 2014 by Dave Cournoyer. Who wants to be leader of the Alberta NDP? The Alberta NDP will hold a leadership vote in October 2014. 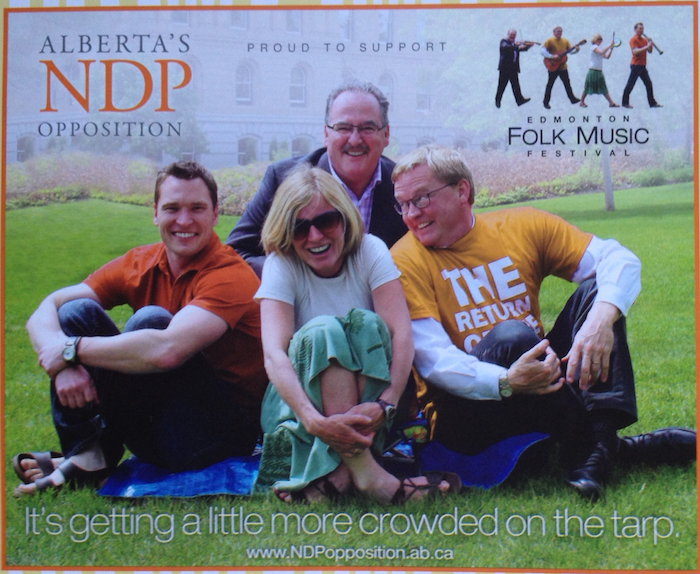 Photo from the NDP ad in the 2012 Edmonton Folk Music Festival program. While most political chatter in Alberta is focused on how big Jim Prentice’s victory will be on the first ballot of the Progressive Conservative leadership vote on September 6, there is another race about to begin – the race to become the leader of the Alberta NDP. At his press conference announcing departure, outgoing NDP leader Brian Mason told the media he has asked the NDP provincial executive to hold a leadership vote on or near the weekend of October 19. The party is expected to announce official rules or timelines for the leadership vote in the coming months. No candidates have declared their plans to enter the race, but if more than one does, it would be the Alberta NDP’s first contested leadership race since 1996, when the feisty Pam Barrett was selected to replace former Member of Parliament Ross Harvey. A contested race would help generate interest and boost their membership numbers across the province. While there is an opportunity for the NDP to make modest gains in the next election, their next leader will face some serious challenges. One will be to expand their party outside of its traditional base in Edmonton. This will require good candidates, good organization, and, of course, money. The NDP have not won a seat outside of Edmonton since the 1989 election. Some NDP supporters hope the division of conservative voters and the final demise of the drifting Liberal Party led by Raj Sherman could help bolster their chances of expansion. Perhaps the most thankless part of the job will be to try and convince Albertans that the NDP is not opposed to the province’s energy industry. While federal NDP leader Tom Mulcair‘s ‘Dutch Disease‘ comments were not helpful, observers of Alberta politics will have noticed the NDP softening their language around Alberta’s chief industry in recent years, replacing ‘tarsands’ with ‘oilsands’ and focusing on other big polluters, like the province’s dirty coal industry. While there are rumours of potential outside candidates, there is a possibility that the party’s three remaining MLAs could throw their hats into the ring. A teacher, he first ran for the NDP in Edmonton-Centre in 2008 and was elected as the MLA for Edmonton-Beverly-Clareview in 2012. Before his election, he taught at Edmonton’s Inner City High School. 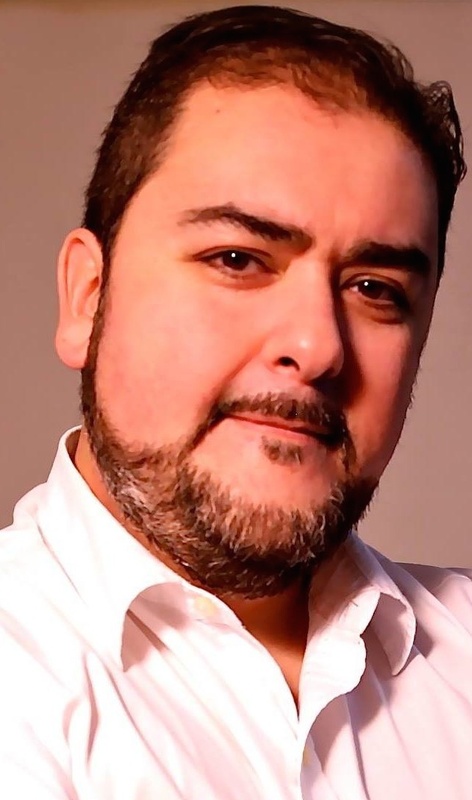 Considered rising star in the NDP, the 38-year old first-term MLA has proven himself to be a well-spoken and hard-working addition to the opposition benches. 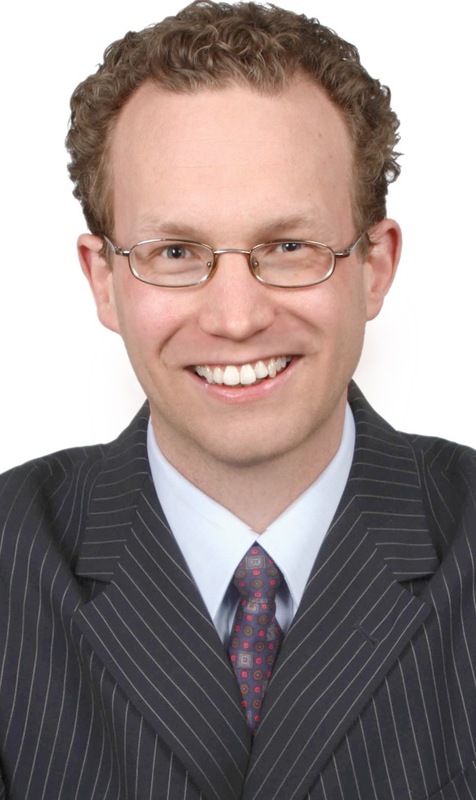 A teacher, he first ran for the NDP in Edmonton-Centre in 2001 and was elected as the MLA for Edmonton-Calder in 2004, unseating PC MLA Brent Rathgeber. He was defeated in 2008 and re-elected in 2012. From 2008 to 2012, he served as executive director of the Friends of Medicare, an advocacy group promoting public health care in Alberta. 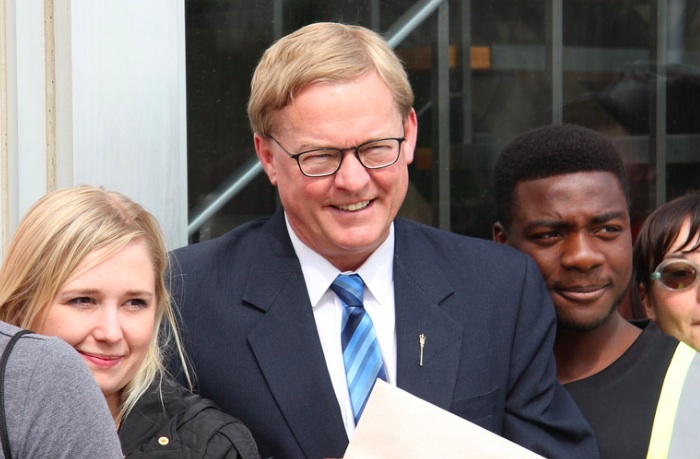 Mr. Eggen is well-known as a hard-working MLA who is scrappy critic in the Legislature and rarely takes a break from door-knocking in his constituency between elections. Now as the NDP Health critic, he is an outspoken critic of privatization in Alberta’s health care system. 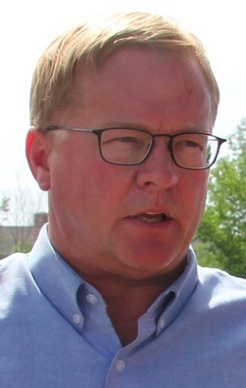 A phone poll conducted in February 2014, and captured on this blog, suggests that Mr. Eggen or his supporters have been preparing for a leadership campaign for months. First elected as the MLA for Edmonton-Strathcona in 2008, Ms. Notley is an outstanding parliamentarian. Her knowledge of Assembly procedure has helped keep the NDP effective at blocking or slowing down PC legislation on more than a few occasions. 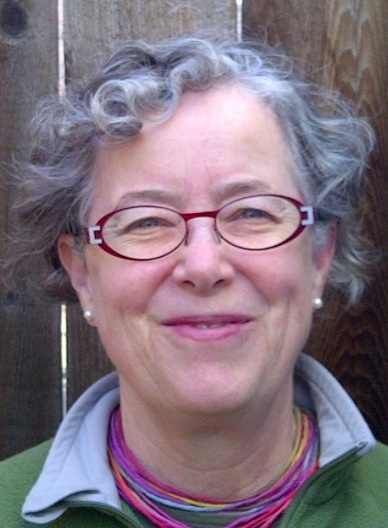 Educated in law at Toronto’s Osgoode Hall, she worked as a staffer in British Columbia NDP government and was a Labour Relations Officer with the United Nurses of Alberta. She is also the daughter of Grant Notley, a well-respected NDP leader and northern Alberta MLA from 1971 to 1984. Her supporters have already launched a Ready for Rachel Facebook page, which now has more than 550 Likes. Congratulations to my blogger-in-arms David Climenhaga who walked away with the Best in Political and Current Affairs award at last night’s Yeggies gala in Edmonton. Mr. Climenhaga faced a handful of worthy contenders, including the Edmonton Journal‘s entire political reporting team. This entry was posted in Alberta NDP leadership race, Alberta Politics and tagged 2014 Alberta NDP Leadership Race, 2014 Alberta Progressive Conservative leadership race, Alberta Dirty Coal, Alberta Liberal Party, Alberta NDP, BC NDP, Best in Political and Current Affairs, Brent Rathgeber, Brian Mason, David Climenhaga, David Eggen, Deron Bilous, Dutch Disease, Edmonton-Beverly-Clareview, Edmonton-Calder, Edmonton-Centre, Edmonton-Strathcona, Grant Notley, Jim Prentice, Oilsands, Pam Barrett, Rachel Notley, Raj Sherman, Ross Harvey, Tarsands, Tom Mulcair, United Nurses of Alberta, Yeggies on May 10, 2014 by Dave Cournoyer. 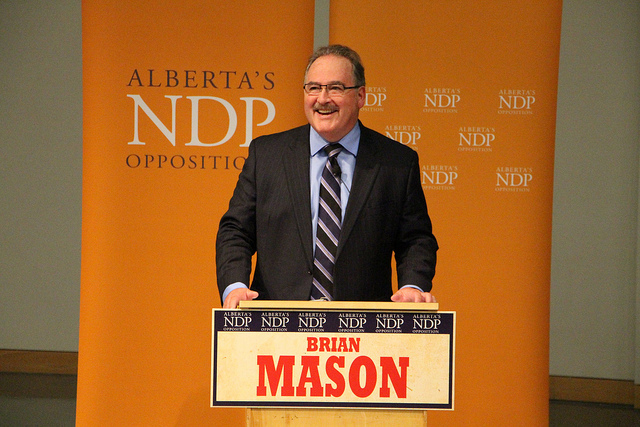 Alberta NDP leader Brian Mason announced this week that he will be retiring as leader of his party in October 2014. Back in the mid-2000s, when I worked for the Alberta Liberals, Alberta NDP leader Brian Mason was a constant source of frustration for my colleagues and I. Each week, I was amazed at how the leader of the tiny perfect NDP could consistently earn so much press and scoop away the media attention deserved by of my party’s Official Opposition MLAs (of course, there were a few other contributing factors at play). At the time, I had a professional respect for Mr. Mason and, since stepping back from the world of partisan politics and having engaged with him in more informal settings, I now have a personal respect for him (he is also my MLA). Scrappy and strong willed, Mr. Mason has always punched above his weight with ease, putting even the most confident Progressive Conservative cabinet ministers on edge. This week, after ten years in the job, Mr. Mason announced his plans to step down as leader of the NDP after his party holds a leadership vote in October 2014. As he departs, it is important to reflect on how far the NDP has come overt he past decade. Ten years ago, the NDP had two MLAs in Alberta, no sign of life outside of central Edmonton and a dozen Members of Parliament in Ottawa (none from Alberta). Today, the NDP is now the Official Opposition in Ottawa (with one MP from Alberta), are back up to four MLAs in Alberta, their vote has grown in Edmonton and they now have a beachhead of support in Lethbridge. While the NDP is a long way from being a competitive alternative to the two Conservative parties in this province, the next two years present the new NDP leader with a unique opportunity to speak with voters searching for an alternative (I will write more on this later). While it would be unfair to solely credit Mr. Mason for the change over the past decade, in many ways, he will leave the Alberta NDP in a better shape than it was the day he started the job. This entry was posted in Alberta Politics and tagged 2014 Alberta NDP Leadership Race, Alberta Liberals, Alberta NDP, Brian Mason, Edmonton, Lethbridge on May 1, 2014 by Dave Cournoyer.